By Xah Lee. Date: 2014-02-23 . 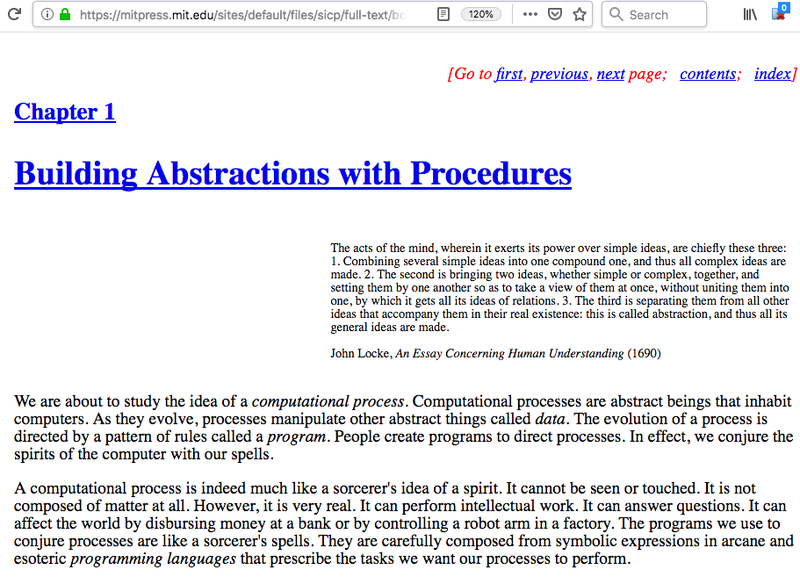 Last updated: 2019-02-11 .
one of the idiocy of web design is to have a Header such as h1 that links back Table Of Contents. Such design is widespread in 1990s and early 2000s. You can still see it today, in the geek's sites. For example, most of FSF GNU's doc in HTML are still like that, as well lots Tex/LaTEX converted docs. sometimes the link goes to top of the page, sometimes to a section of the same page, sometimes back to table of contents in another page. the problem is that, when you see the header as a link, you don't know where it would take you. a proper design, is for links to always point to content detail. Unless the link specifically say “back to table of contents” or “back to top”, etc.